An alkenyl group is a hydrocarbon group formed when a hydrogen atom is removed from an alkene group. 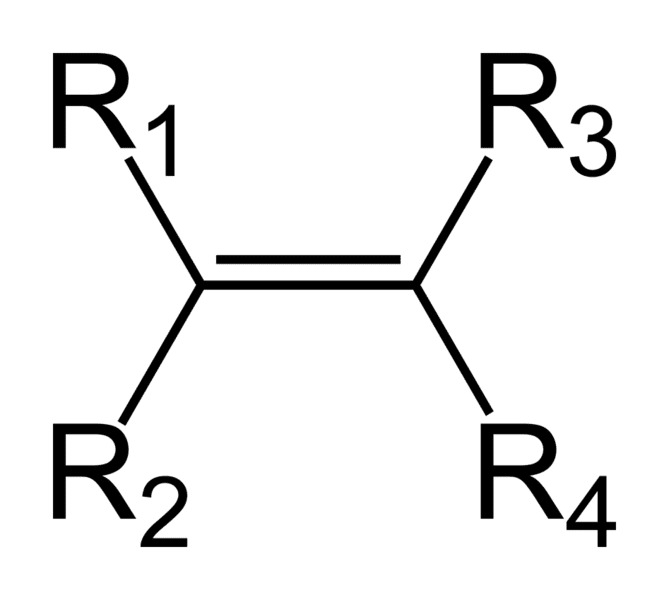 Alkenyl compounds are named by replacing the -e from the parent alkene's name with -yl. Examples: H2C=CH- (ethenyl or commonly known as vinyl). The parent alkene was H2C=CH2, ethene.